This striking and beautiful issue of ten 1st class NVI stamps features UK Birds of Prey depicted in photographs by specialist photographer Tim Flach. Royal Mail bird-themed issues are always popular and this promises to be no exception. The birds featured are: White-tailed Eagle: Merlin; Hobby; Buzzard; Golden Eagle; Kestrel; Goshawk; Sparrowhawk; Red Kite and Peregrine Falcon. 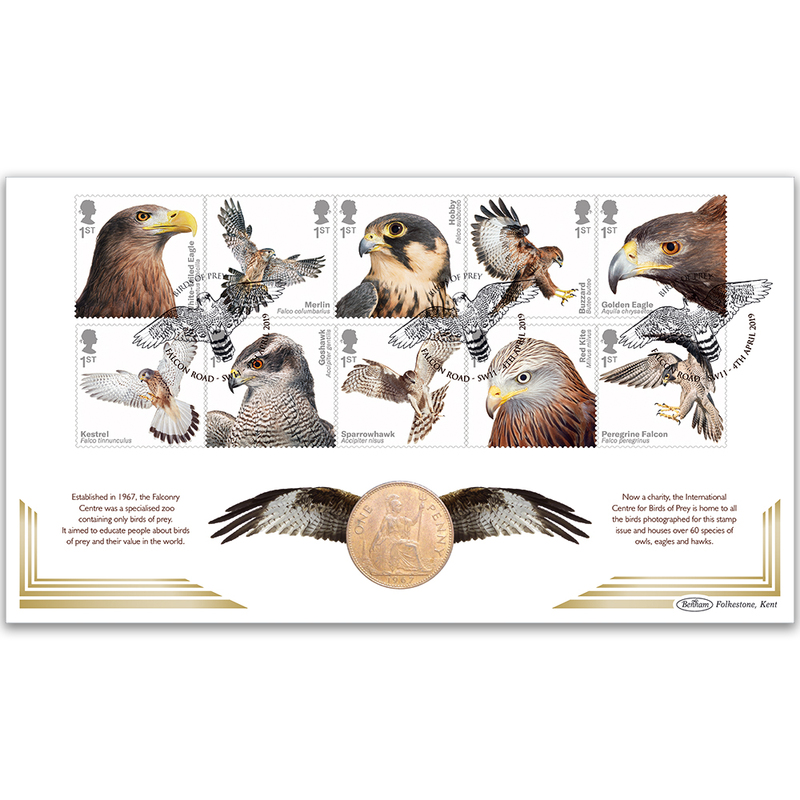 The coin cover encapsulates a 1967 pre-decimal penny marking the year in which the specialist Falconry Centre was established to educate the public with regard to the importance of birds of prey and which currently houses all of the birds depicted on the stamps. The cover bears a Falcon Road, SW11 handstamp.